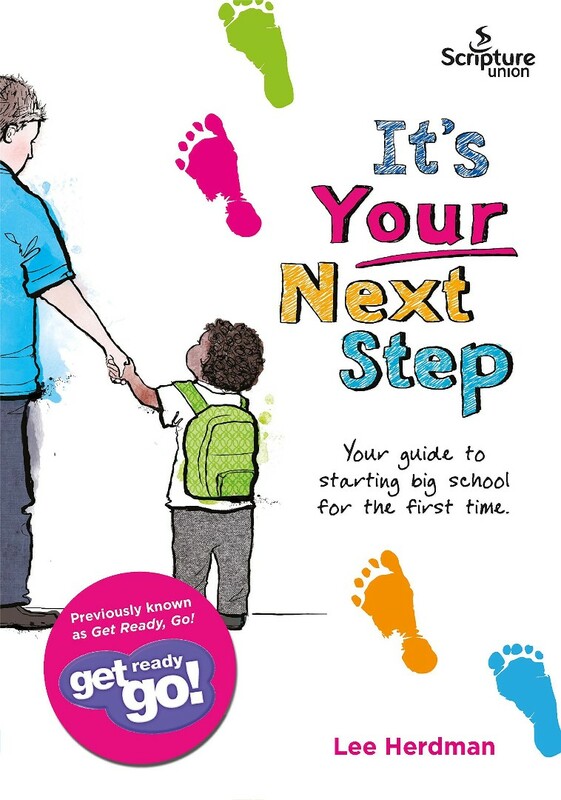 Helping the transition between nursery and school, It's Your Next Step helps children to prepare for their first days in school, and how top keep their faith during them. Want to help a child starting school soon? Whether your own, or one in your Church? Then this small guide will show in simple language what they can expected, and how they don't need to be afraid because God is always with them. Starting school is a big milestone in a small child's life, and It's Your Next Step provides children and their parents/carers with an opportunity to work through any issues or anxieties. With a pull out section for the child to complete alongside the adult booklet, It's Your Next Step helps to promote healthy conversation about school and learning. It is ideal to give out to parents/carers at toddler groups, or within church children's group contexts. It's Your Next Step Pack of 5 by Lee Herdman was published by Scripture Union in February 2017 and is our 1467th best seller. The ISBN for It's Your Next Step Pack of 5 is 9781785064005. Be the first to review It's Your Next Step Pack of 5! Got a question? No problem! Just click here to ask us about It's Your Next Step Pack of 5.